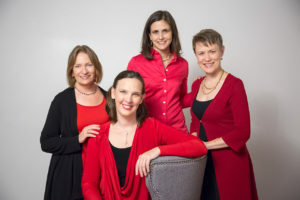 Wildcat Viols was formed in 2003, by three of the Bay Area’s most esteemed early string specialists, Joanna Blendulf, Julie Jeffrey and Elisabeth Reed. EMAg: The Magazine of Early Music America described their debut concert at the 2004 Berkeley Festival a “wonderful offering… beautifully played.” In 2010, at the invitation of Artistic Director George Benjamin, Wildcat Viols performed the complete three and four-part Fantazias of Henry Purcell at the Ojai Music Festival. That same year, Wildcat Viols released their first recording, Fairest Isle, with music by Purcell, Locke and Hingeston. In 2015, the consort added a fourth member, Ohio-based gambist Annalisa Pappano, founder of the Catacoustic Consort. Julie Jeffrey contributes these notes on their performance. The viol consort played a central role in the public and private musical life of Europe for almost 200 years. However, the 17th century witnessed a gradual decline in viol ensemble activity as the popularity of the violin family increased. The rate of this decline varied by region, earlier in Italy, later in France and Germany, and in England still later, but by mid-century the golden age of the viol consort was everywhere at an end—although the bass member of the viol family survived much longer as a solo instrument. Yet the viol consort’s increasing rarity seemed to invite the special attentions of three of the era’s finest composers, Matthew Locke, Giovanni Legrenzi, and Henry Purcell, each of whose unique, personal musical language would find perfect expression in the intimately passionate sound-world of the viol ensemble. It is interesting to note that each of these composers’ most inspired (or, in Legrenzi’s case, only) works in this genre were for a consort of four viols, always in the same disposition: treble, alto (or high tenor), tenor, and bass. Why was this texture so attractive? Perhaps the even spread of parts, analogous to vocal music’s SATB distribution, in which each voice possesses its own tessitural territory, was deemed most conducive to clarity and balance in a variety of textures. This disposition certainly seems to provide felicitous conditions for contrapuntal writing, a constant and essential element in all of these works. In 17th-century England viol consort playing was ubiquitous, both in public life at court and church, and in private households. The political and social upheaval of the mid-century, culminating in the Commonwealth period, eliminated viols from the public sphere; after the Restoration of the monarchy in 1660, an increasing taste for violin music ultimately eliminated the viol consort from the private sphere as well. Matthew Locke’s career spanned every phase of this transition, and his musical output reflected the changing tastes of his times. Most of Locke’s consort music was written in the 1650’s, during the Commonwealth period, when new restrictions on the traditional outlets for public music created a fertile environment for private, domestic music making. He was the last major composer of the viol consort era, and was widely considered the greatest English consort composer after that genre’s flowering in the pre-Commonwealth era. By this time the five- and six-part texture preferred by Jacobean viol composers was on the wane, and Locke turned all of his focus on three- and four-part texture for his consort works. The Consort of Four Parts was Locke’s finest and probably final achievement in this genre. Roger North, prolific writer on music and Locke’s younger contemporary, called it “a magnifick consort of 4 parts, after the old style, which was the last of the kind that hath bin made”, and indeed this collection is now acknowledged as one of his most mature and inspired works. The Consort of Four Parts consists of six suites, three of which we have chosen to present in this concert. More modern in form than the free-standing fantasies favored in earlier times, Locke’s suites are the offspring of the fantasy-suite genre innovated and developed by the previous generation of viol consort composers, including John Coperario, John Jenkins and William Lawes. One of the earliest manifestations of multi-movement forms in chamber music, the fantasy-suite groups one or two serious, full-blown fantasy movements with one or more shorter dance movements. The Consort of Four Parts follows an unvarying pattern of movements, each suite consisting of the sequence: Fantasy – Courante – Air – Saraband. Locke’s Fantasies, the most substantial movements of his suites, continue the trend, begun in earlier generations, toward increased sectionality, greater contrast between sections, and quixotic changes of mood and harmony. They contain some of his most sophisticated writing: masterful counterpoint, astonishing harmonic turns, and an intimate, almost conversational melodic style. The dance movements, though shorter than the fantasies, are not insubstantial. Locke’s Courantes blend his penchant for an elegant turn of melody with the dance’s characteristic shifting rhythmic patterns. The Airs are the most variable movements of these suites. Some, like the first suite’s d minor Air, are darkly sweet with tender melodic turns; others, like the F major Air, are forthright and exuberant, but can change to a passionate mood at a moment’s notice. The Sarabands are brief, but always well-crafted and full of personality, often sporting some clever compositional feature that transcends the form’s potential triviality. Roger North elegized this final great work from the era of household consort playing: “… after Mr. Jenkins I know but one poderose consort of that kind composed, which was Mr. M. Lock’s 4 parts, worthy to bring up the ‘rere, after which wee are to expect no more of that style, especially considering how few before may be compared with it.” But, contrary to North’s expectation, another English composer, Henry Purcell, had the last word in viol consort music. This concert’s centerpiece is the collection of nine extraordinary Fantazias for four viols, composed by Purcell in the summer of 1680. The circumstances surrounding their composition remain a mystery. The viol consort had long faded away from England’s musical mainstream, and twenty years had passed since Locke wrote the last viol ensemble music in common circulation. Why did Purcell choose to explore a genre so out of step with current musical tastes? One can only speculate. Born in 1659, Purcell received his musical training as a chorister and assistant at the Chapel Royal. In 1677, most likely on his eighteenth birthday, he replaced Matthew Locke as composer for the violins at court. This began a period of focus on instrumental music, and most of Purcell’s chamber music was composed in the seven or eight years following this, his first adult appointment. 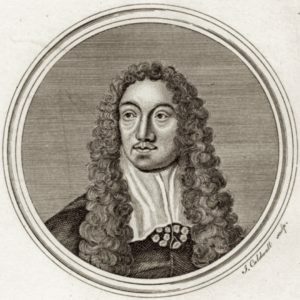 In this fertile period of his early career, he was clearly interested in learning from the music of his predecessors, and he may have turned to the viol fantasy genre out of an elegiac impulse, since several role models of the previous generation had recently died (his teacher Christopher Gibbons in 1676, Locke in 1677, John Jenkins in 1678). It has been suggested, furthermore, that these fantasies are the product of a self-directed course of compositional study, drawing on the techniques of older masters. However, far from being dry, didactic studies of counterpoint, each one of these fantasies is an extraordinary masterpiece in miniature, showing a mature grasp of composition and a matchless gift for nuanced, often passionate expressiveness. It is hard to believe that Purcell did not somehow imagine these fantasies being played by an existing ensemble, but it is not clear whether he had a specific performance context in mind. The paucity of manuscript sources indicates these pieces were not widely distributed, and viol consort playing was by the 1680’s a thing of the past, although there may have been pockets of consort activity surviving here and there in private households inhabited by nostalgic elders. Roger North, who admired and was personally acquainted with Purcell, seems not to have known of these pieces. We will never know if Purcell heard his masterpieces played, but ever since their “rediscovery” in the early 20th century, they have held a place of honor in the latter-day viol consort repertoire and remain among the most intensely gratifying pieces to play. The music speaks for itself, but a few features are worth noting. Purcell was familiar with Locke’s viol works, and it is clear that Purcell modeled his fantasies on those of Locke. They are similarly sectional, exhibiting a breathtaking variety of textures and moods, each fantasy traversing a journey satisfyingly complete for such a brief excursion. There are many exquisite and astonishing moments, but perhaps the most remarkable feature of these pieces is the counterpoint. Here Purcell flexes his youthful compositional muscles, taking himself through the paces of every imaginable contrapuntal device with an ease and mastery comparable to that of J.S. Bach. He treats us to double and triple counterpoint, inversion, augmentation and diminution, sometimes engaging in several of these devices at once. 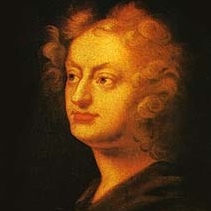 And, like Bach, Purcell’s display of contrapuntal prowess is never ostentatious and never overshadows the elemental intimacy and passion of his musical expression. In 17th-century Italy, a preference for the violin family was established early, and viol consort playing was never the national pastime it was in England. Yet Giovanni Legrenzi’s 1673 publications La Cetra (op. 10) includes two sonatas for “quattro viole da gamba, ò come piace,” amidst other sonatas for two to four instruments of the violin family. A clue to this unusual appearance may be found in Legrenzi’s recent relocation to Venice (around 1670), where he became active at the Ospedale dei Mendicanti, one of four city orphanages whose female residents were given remarkably thorough and serious musical training, in part to raise money for the institution (via performances and tuition from envious outsiders), but mostly to maximize these young ladies’ accomplishments, making them more attractive candidates for marriage. 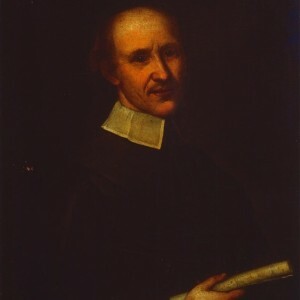 In 1673, the year of La Cetra’s publication, the Mendicanti’s instrument inventory records the purchase of seven viole da gamba. It seems likely that Legrenzi wrote these two sonatas for the girls of the Ospedale to play on their new set of viols. These sonatas, like the fantasies of Locke and Purcell, are single-movement entities with sections of contrasting tempo, mood, and texture. However, the sectionality of Legrenzi’s sonatas is much more distinct, each section, with few exceptions, having its own tempo indication and often ending with a final-sounding cadence before moving on to the next section. Indeed these pieces seem on the verge of breaking into the multi-movement sonata format popularized by Corelli. Like his two English counterparts, Legrenzi’s sonatas encompass remarkable variety for such small-scale pieces. Serious contrapuntal sections, sometimes with multiple simultaneous subjects, are strung together with passionate, declamatory moments, sparkling homophonic outbursts, mysterious wanderings, and even a binary gigue-like excursion. Roger North’s sobriquet “a magnifick consort of four parts,” referring to Locke’s suites, in truth could very aptly describe every one of these works. For Locke, Purcell, and Legrenzi alike, they are rare and exquisite products of exceptional circumstances, and for viol players of the 21st century their exalted position in the ensemble repertoire is unrivaled. A “magnifick consort” indeed. SFEMS presents Wildcat Viols, at 8:00 p.m., Friday, April 6, at First Presbyterian Church, 1140 Cowper Street (at Lincoln) in Palo Alto; 7:30 p.m., Saturday, April 7, at St. John’s Presbyterian Church, 2727 College Avenue (at Garber) in Berkeley; and 4:00 p.m., Sunday, April 8, at Church of the Advent, 261 Fell Street in San Francisco. Please note the special venue for our San Francisco performance. BUY TICKETS ONLINE or through the SFEMS box office at 510-528-1725.